Publications that we may distribute in electronic form, respecting copyright laws, are listed below. A list of other equid publications of interest then follows. The electronic publications below are in Adobe Acrobat PDF format, which requires software to read. You likely have that software on your computer already, but a copy may be downloaded, without cost, from Adobe.com. Moehlman, P.D. (ed). 2002. Equids: Zebras, Asses, and Horses: Status Survey and Conservation Action Plan. IUCN/SCC Equid Specialist Group, IUCN (The World Conservation Union), Gland, Switzerland and Cambridge. This volume is the 'Equid Species Action Plan,' an important resource for equid conservation. Two formats are available, a low resolution PDF file (17 MB) and a high resolution PDF file (40 MB). Hack, M.A. and S. King. 2005. Equid Bibliography. 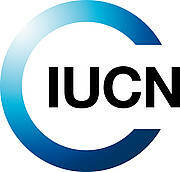 IUCN/SCC Equid Specialist Group, IUCN (The World Conservation Union), Gland, Switzerland. Equid Bibliography in PDF format, recommended for printing. Equid Bibliography in Word Format. Equid Bibliography in RTF (rich text) format. The list of references derives from the collected bibliographies of several members of the Equid Specialist Group. We include those references relevant to the ecology, behavior, and conservation of wild or feral equid populations. Your help in making the bibliography more complete would be appreciated. We plan to update the bibliography annually.